The computer system, named Aurora, is scheduled to be delivered to Argonne’s Chicago-area headquarters in 2021, Intel said. It will cost an estimated $500 million to build; the portion of the contract that would go to Cray is valued at more than $100 million, the company said. Supercomputers are widely used in areas such as weapons design; breaking or unlocking encryptions placed on other systems; and physical simulations of planes, spacecraft, and other vehicles, the energy department says on its website. Five of the world’s 10 highest-performing supercomputers are in the U.S., according to the website Top500, which tracks and ranks the most powerful computers across the globe. The second-most represented country in the top 10 is China, with two systems. However, China, which is seen as a rising power in supercomputers, has more computers that rank among the world’s 500 most powerful (227) than the U.S. (109), according to a New York Times report. The Argonne lab’s partnership with Intel and Cray will allow the organizations to continue “pushing the envelope” in fields such as neuroscience, materials science, cosmology, and cancer research, said Argonne associate laboratory director Rick Stevens in a video released Monday. 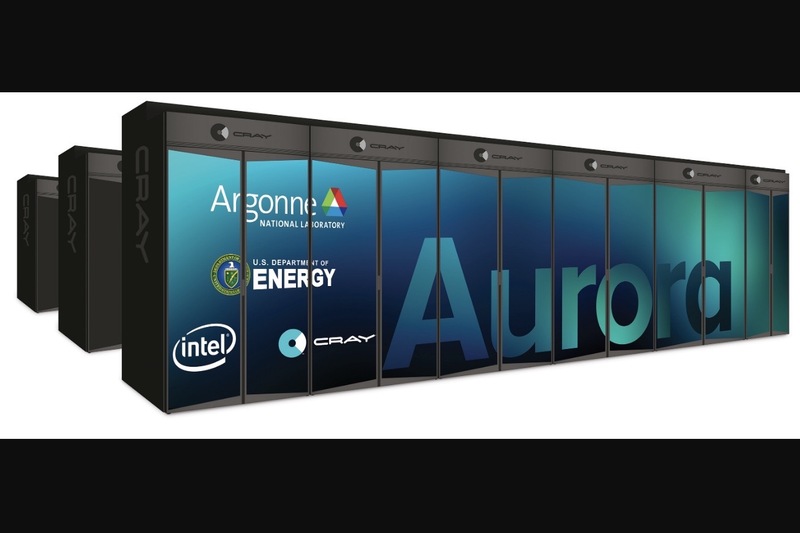 Argonne’s Aurora system will use chips manufactured by Intel, as well as software developed by Cray, for storing information and managing its flow in data centers. Cray first introduced the software and related tools, which it sells under the brand name Shasta, in October. At that time, the company also announced it received a contract valued at $146 million to build a supercomputer for the National Energy Research Scientific Computing Center, another entity within the U.S. Department of Energy. Cray is a historic giant of the computing business, albeit a somewhat quiet one. Customers of the company, which supercomputer pioneer Seymour Cray founded in Wisconsin in 1972, include weather monitoring services in the U.S. and other countries. These organizations have used Cray’s products and services to help them model climate data and weather events. Other large contracts Cray has announced in recent years include ones from the National Nuclear Security Administration and U.K. Met Office, which were valued at $174 million and $128 million, respectively.